Ahead of The European Conference on Rare Diseases & Orphan Products, pharmaphorum’s Paul Tunnah speaks with Wills Hughes-Wilson, from rare disease specialist pharma Sobi, on the challenges of working in this space. Rare Disease Day may have come and gone for 2014, but the challenges faced by rare disease patients persist all year round. With potentially only handfuls of patients globally for a given condition and poor levels of diagnosis, any pharmaceutical company seeking to develop effective new rare disease treatments for unmet needs faces some unique hurdles to overcome. But, equally, the rare disease community is a model for healthcare collaboration, with extremely active and empowered patients and their families often going to extraordinary lengths to support research and development. Here, the pharma industry, regulators, payers, disease associations, academic researchers, patient advocacy groups and the patients themselves often work in close cooperation. 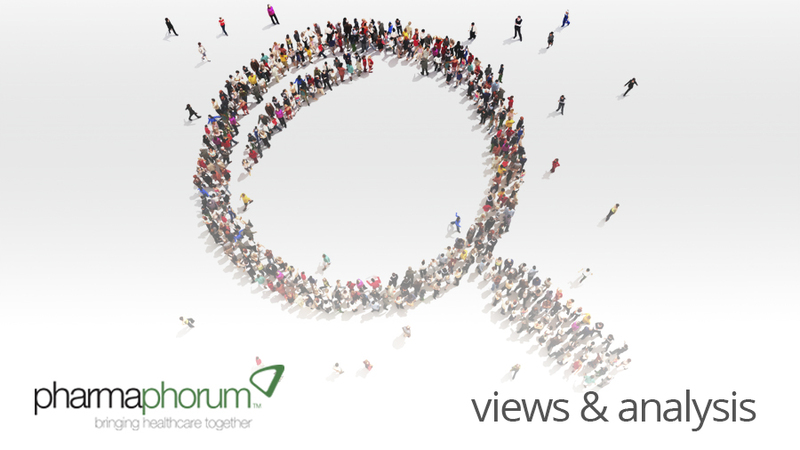 Wills Hughes-Wilson, from Sobi, tells pharmaphorum why she would not work in any other area. PT: What have been the biggest recent advances in the rare disease space? WHW: There have been a lot of advances in different parts. For example, beyond the first-ever gene therapy approved in the EU, which was very important in the rare disease space, there has been the first disease-modifying agent for cystic fibrosis, which was approved for a specific genetic subset, and subsequently expanded to others where it could bring value. At the other end of the process, the recommendations from the group of payers working on the MOCA (Mechanism of Coordinated Access to orphan medicinal products), which were adopted in April 2013, have led to a potential pilot programme exploring if early and continued dialogue with payers could address some of the challenges faced in gaining access to orphan medicinal products, such as data availability, pricing and budget impact. These elements could be the beginnings of exploring some of the different pieces that could make a more progressive authorisation and access framework a possibility. On the research side we are seeing the first EU-funded public/private partnership for clinical development of a potential rare disease treatment led by patients via the AKU Society’s DevelopAKUre consortium. Nick Sireau [Chairman of the AKU Society] has secured funding from the European Commission to work with a group of partners, including treating physicians, research organisations and Sobi, to pursue the development and hopefully authorisation of an effective treatment for alkaptonuria. So lots of good things are happening. PT: Why is this public/private partnership so important? WHW: Without the patient-led approach, the multi-stakeholder collaboration and the European Commission funding this would not be economically viable, because the disease is so very rare. So this is a very important development to help drive applied research in a clinical setting for tiny niche areas. The reality is that only some 2% of rare diseases have a treatment – that means 98% don’t – so we have to make sure it doesn’t take 500 years to cover them all and that it’s not just the big ones that get the attention. This partnership will hopefully serve as an encouragement and potential role model to other patient groups and patients. PT: What is the argument for healthcare systems to invest in rare diseases? WHW: Firstly, although each individual disease is rare, cumulatively they affect millions of people across Europe, who all deserve the same treatment possibilities as patients with more common disorders. Healthcare systems have a responsibility to recognise that these are real people with real needs. In addition, the burden of the rare disease goes much further than treating – or not treating the patient, which also has a cost. The vast majority of rare diseases are genetic in origin, so they affect children, and also their family. It can create financial burdens as one or other parent might need to give up their job. A diagnosis can put strain on families, marriages and relationships, so there is overall a massive societal burden well beyond that faced already by the patients themselves. Finally, researching the genetic pathways behind rare diseases can often provide clues into pathways that have much broader application in common diseases. So, on the one hand, not treating rare disease patients comes with a cost burden beyond the patient and their family, while, on the other, investing in rare disease research could lead to much broader benefits to the healthcare systems in many other ways. PT: How does working in rare diseases differ from more common disorders? WHW: The fact that the patients are, by definition, rare drives a complexity that’s inherent throughout the research and development pathway. There is a myth that, because the numbers are lower, it is cheaper and easier to develop rare disease medicines and, in fact, very often the opposite is true. Because of the rarity, you are almost certainly going to lack animal or computer models. Understanding of the natural history of the disease is often patchy and incomplete. On top of that, rare diseases are often underdiagnosed, because most physicians might only see one case of a given rare disease in their professional life. It can be a vicious circle – the lack of effective treatments may provide no urgency for specific diagnosis, which makes research efforts even harder. Another of the many factors is around finding valid endpoints. It’s very difficult when you have small numbers of patients with very heterogeneous manifestations, maybe nine patients displaying a condition in nine different ways. How do you create a robust set of outcomes to support not just approval but also reimbursement? These are just some of the challenges, but basically there are hurdles at every stage. PT: Which groups are most driving advancement in rare disease treatment? WHW: Everybody! First and foremost the patients and their mothers, fathers, aunts, uncles, carers and so on – a huge army of passionate, organised, dynamic and collaborative people. There are also very strong patient organisations such as EURORDIS and its American counterpart NORD, plus similar bodies all over the world. Industry is also playing a key role, of course, working together with academic researchers from across the globe. But we also cannot forget the healthcare systems – the regulators, payers and HTA bodies – some of whom are often criticised in this field. But they are often demonstrating their willingness to be flexible and collaborative in the field of rare diseases, which is not always easy. They have to strike a balance between providing evidence-based, research-based medicine that safeguards public health with an often very urgent unmet need for the patient groups, where the evidence level on the other hand may not yet be fully available. But there are lots of initiatives to try to address this inherent challenge. For example, in many countries they are looking at rare disease treatments in a different way for HTA evaluation, seeking conditional access or even setting aside dedicated funds. PT: What does pharma gain from focussing on rare diseases? WHW: I mentioned earlier that researching the genetic pathways around rare diseases can often yield broader learnings and application in more common disorders. It can also go the other way, the molecule in Viagra is now also authorised for pulmonary arterial hypertension, a rare disease. Also, there are benefits from the extremely collaborative business model found in rare diseases. On a personal level, you often have a clear line of sight to the patients you are helping, which is often not the case in broader diseases, so it is very rewarding to work in the field of rare diseases. PT: What has Rare Disease Day done for this space? WHW: It has been absolutely great for raising awareness and bringing rare disease patients together. The old saying of ‘together we stand, divided we fall’ is so true, as it has shown everyone working in rare disease that by coming together we cannot be ignored and amazing things can be achieved. The first Rare Disease Day was only a few years ago, in 2008, and now we are seeing coverage of rare diseases in the mainstream media internationally, which is raising awareness in the broader public. PT: Are there particular rare disease patient stories that motivate you? WHW: There are so many, because every patient has their own story, they are all very courageous and it’s very humbling to work with them. For example, Nick Sireau, a father of two boys with alkaptonuria who quit his job and has devoted his life to help develop treatments not just for his children, but the whole community, is hugely inspirational. Or Kay Parkinson, whose children were diagnosed with the very serious and degenerative rare disease Alstrom Syndrome, who studied and qualified as a lawyer to allow her to fight for the rights of her and other children to be treated. Or Karen Aiach, the CEO of Lysogene, who has set up a company, raised funding and initiated clinical trials to try and find a treatment for a very rare and serious disease. These people all have incredible courage and they refuse to give up – they and many others are role models to me every day. We still have a long way to go with rare disease treatment, but through collaborating with and learning from people like them we can make a big difference. Wills Hughes-Wilson is Vice President External Affairs and Chief Patient Access Officer at Swedish Orphan Biovitrum AB (Sobi), an international specialty healthcare company dedicated to rare diseases. In addition, Wills is Chair of the European industry group of companies researching and developing orphan medicinal products and rare disease treatments. From 2010-2013, she was a member of the EU Committee of Experts on Rare Diseases (EUCERD). Closing thought: What can the rare disease community teach the broader pharma industry?